Caption : Illegal mobile circus treat endangered species cruelly, to perform in public, a clearcut violation of animal protection laws. 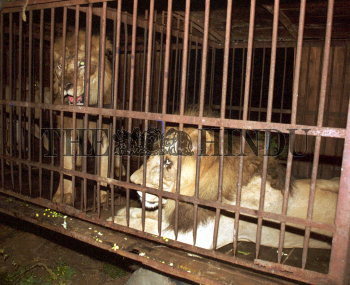 Picture shows a circus lion seized and rescued from a circus company, by forest officer. Photo: M_Moorthy, May 06, 2003.